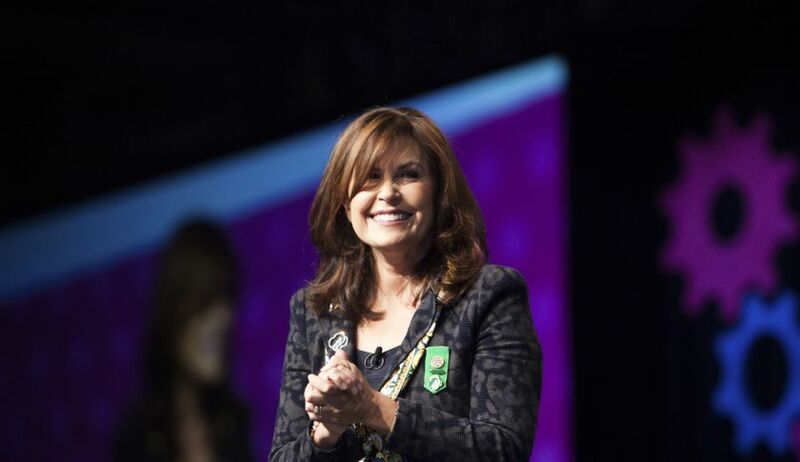 I can’t believe that a year has passed since I was elected National President of Girl Scouts of the USA at our 2014 National Council Session/53rd Convention in Salt Lake City. Wow—what a great year it’s been! I could not be more proud to serve an organization that positively impacts so many lives. From coast to coast and overseas, I had the pleasure of meeting many, many girls, volunteers, leaders, parents, and alumnae who have shared their Girl Scout stories with me. As I reflect on the past year, some of the highlights were: helping to lead approximately 5,000 girls and 1,000 volunteers in a bridging ceremony across the Golden Gate Bridge in celebration of our partnership with the National Parks Service; assisting with the unveiling of our partnership with the Peace Corps for the Let Girls Learn initiative on International Women’s Day; camping out at the White House with 50 extraordinary fourth-grade Girl Scouts and their leaders to highlight our support for the Every Kid in a Park and the Let’s Move! Outside initiatives, all while the girls worked to earn the first-ever Girls’ Choice badges; and, serving as part of a Girl Scout delegation to the Vatican for a global meeting of Girl Scouts and Girl Guides. It’s also the everyday interactions I’ve had—when I mentioned my affiliation or someone saw me wearing my Girl Scout pin—that have reminded me of the importance of our organization, one that has been centered for more than 100 years on Girl Scouts’ strong belief that all girls matter. In 1912, Juliette Gordon Low founded Girl Scouts when she exclaimed, "I've got something for the girls of Savannah, and all of America, and all the world, and we're going to start it tonight!" I know that Girl Scouts still has something—something important—for all girls today because people share inspiring stories about their Girl Scout experiences with me all the time. Yet, some volunteers and parents have also told me that the organization has not always made it easy for girls to become Girl Scouts or for volunteers to lead troops. And, I recognize that this has made it tougher to attract and retain the girls who we know can benefit from our program, as well as the volunteers who serve as supportive adults in helping girls try new things, make new friends, and dream big. As I think about the past year, I also have to share how impressed I have been by the strength and dedication of our Movement’s leaders at the local and national level—from the enthusiastic troop leaders who inspire girls to the dedicated CEOs who lead our local councils to the hard-working individuals who serve our national organization. 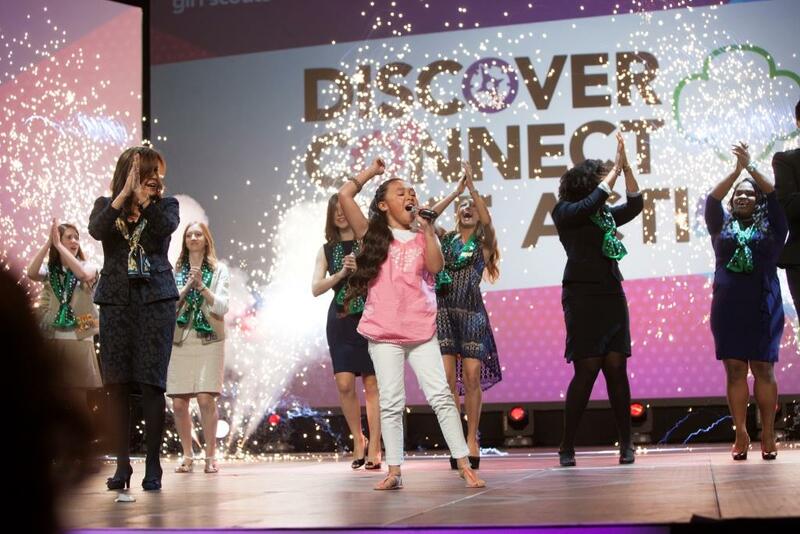 Their shared sense of urgency and boldness to help Girl Scouts thrive for the next 100 years has led us to create a new Movement-wide strategy to address our challenges and seize new opportunities for our future. Our new strategy is grounded in our mission, our core purpose, and our shared ideals to serve as many girls who want to be Girl Scouts as possible—regardless of their means, neighborhood, or family background. Over the next few months, CEOs, board chairs, and other leaders in our Movement look forward to continuing to discuss the strategy and the next steps in implementing it with our members. Clearly, our society at large recognizes that we, nearly three million proud Girl Scout members, have the ability to effect real change in the lives of girls and in our communities and that it is the selfless leadership of so many that makes this possible. We all know that investing in girls is without a doubt investing in our collective future too. The world demands it of us and our dedication to our mission makes us more than ready to meet this demand. So, as I reflect on the past year and look forward to the next, I’m truly excited about everything we’ve been doing at Girl Scouts, around the corner and across the globe. Together, we are furthering Juliette Gordon Low’s legacy by continuing to demonstrate to everyone that investing in girls makes our world a better place.